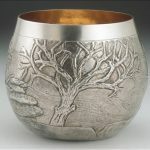 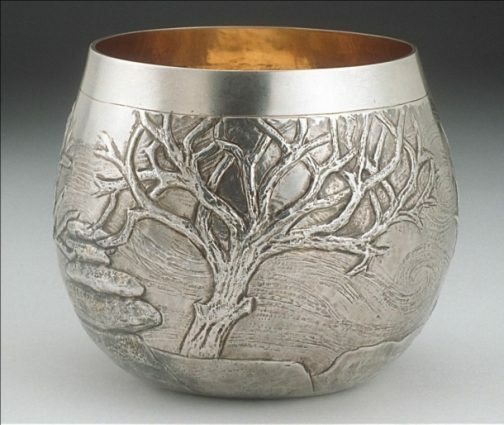 Hand raised silver and gilded bowl with images of the Cornish landscape. 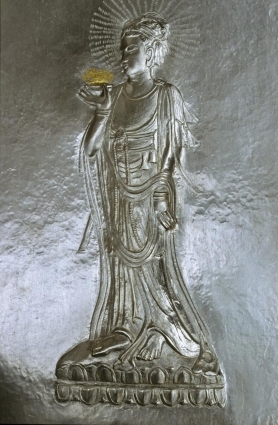 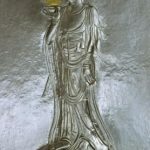 A Buddhist image from a Korean stone carving. 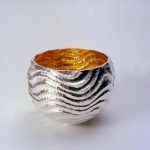 Hand raised and chased bowl in silver with gilding. 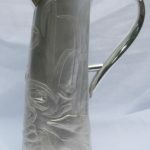 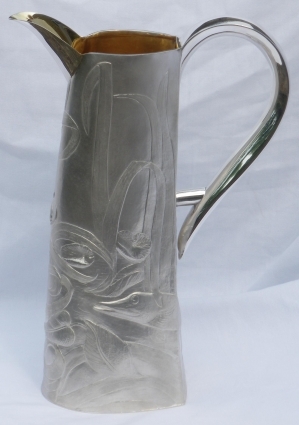 Hand fabricated silver jug with images of Pike, frog and fly, under water and in the air. 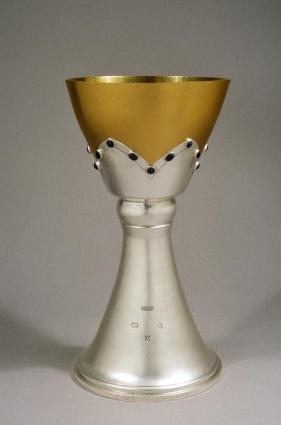 Hand raised and fabricated silver chalice with gilding and lapis lazuli detail. 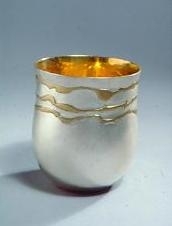 Commission for Oxford University Church of St. Mary the Virgin, Oxford. 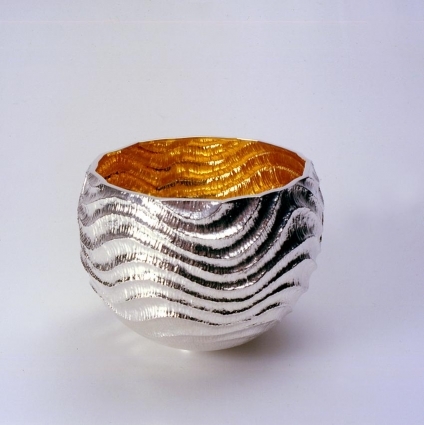 Stella Campion’s work is inspired by nature either as realistic images or as abstract patterns. 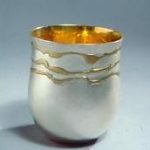 Her work can be seen in many Oxford colleges and churches including Christchurch Cathedral. 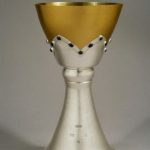 How to contact Stella Campion.